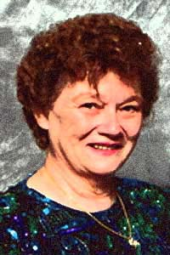 Helen C. Erickson was born in 1936. She earned her graduate degree from the University of Michigan, Ann Arbor in the mid-1970s. It was during this time she met Evelyn M. Tomlin, and it was their discussions that began the research into the Modeling and Role Modeling Theory of nursing. In 1986, Erickson began serving as an Associate Dean of Academic Affairs at the University of South Carolina. In 2006, she edited a book that provides more in-depth information about the relationships between soul, spirit, and human form. She currently lives in Texas, where she is a Professor Emeritus at the University of Texas at Austin. The Modeling and Role Modeling Theory of nursing was created by Helen C. Erickson, along with Evelyn M. Tomlin and Mary Ann P. Swain. It was first published in their book, Modeling and Role Modeling: A Theory and Paradigm for Nursing, which was published in 1983. The Modeling and Role Modeling Theory draws on concepts from Piaget's Theory of Cognitive Development, Maslow's Theory of Hierarchy of Needs, Erikson's Theory of Psychosocial Stages, and Selye and Lazarus's General Adaptation Syndrome. Erickson's theory helps nurses care for their patients by recognizing each individuals uniqueness, and focusing on the individual patient's needs. It is also a self-care method of nursing, which means it is based on the patient's perceptions of the environment, and adapts based on individual stressors for that patient. According to the theory, modeling recognizes that each patient has a unique perspective of his or her world. Modeling is a process that enables a nurse to understand that unique perspective and learn to appreciate its importance to the patient. The nurse uses the process of modeling to understand the world from the patient's perspective. The Modeling and Role Modeling Theory of nursing helps the nurse to do this by explaining some of the similarities and differences among patients. Role modeling accepts each patient regardless of his or her perspective on the world, and cares for the patient in order to work toward health. According to the nursing theory, the patient is the expert in his or her own care, and knows best in how he or she should be cared for to get back to health. In the Modeling and Role Modeling Theory, the roles of nursing are facilitation, nurturance, and unconditional acceptance. In addition, Erickson's model says that the five goals of nursing intervention are: to build trust, to promote the patient's positive orientation, to promote the patient's control, to affirm and promote the patient's strengths, and to set mutual, health-directed goals.